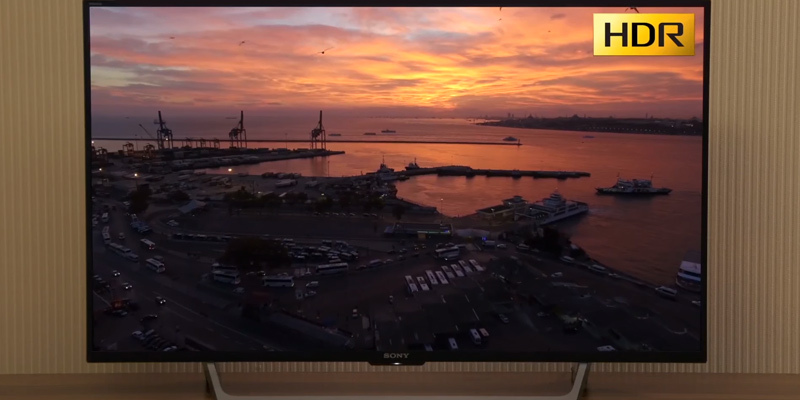 The TV incorporates the last iteration of the High-Dynamic-Range imaging technology that utilises Hybrid Log-Gamma, meaning that it is capable of reproducing a greater dynamic range of luminosity, so the lighting, the shadows, and the display contrast will be able to resemble the real-life imagery to a much closer extent. The HDR10+ will set the boundaries of brightness at the start of the film and distribute the hundreds of millions of colours evenly across the entire brightness spectrum. Some users find the colour rendering to be a bit unnatural. 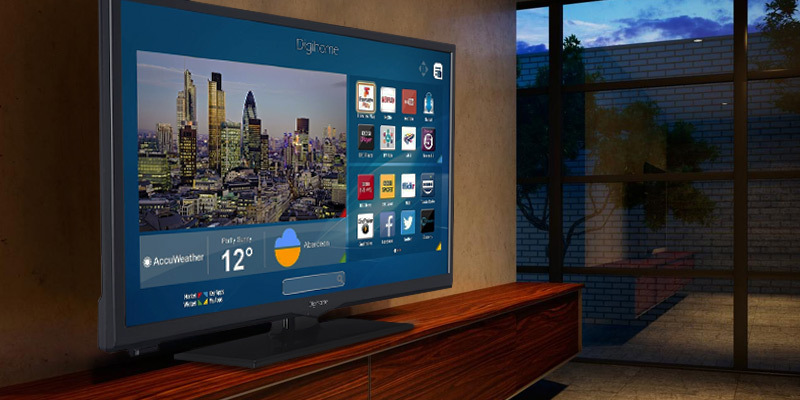 We don't know if there is such a thing as objectively the best Smart TV on the market. But if any product comes close to it, it would have to be the Smart TV with Freeview Play in question. The kind of colour reproduction it offers in addition to the size of the display will surely convince you to spend a few extra pounds on one of the most exciting TV prospects out there. The model offers 1600 Hz of Backlight Motion Rate which is a technology that implements high-quality frame creation and advanced backlight scanning in order to ensure that those fast action scenes that we all love are always clear. The Wide Colour Phosphor technology generates a broader colour range and gives you a more subtle, natural toned colour palette. The feet are a bit small and shaky when it comes to certain surfaces. Panasonic TX-50EX700B has quite a lot going for it: the colours are exceptional, the viewing angles it provides will make the whole experience so much more comfortable, not to mention that the design fo the whole thing makes the model look sleek and spectacular, all while offering some additional options in terms of placement. The device comes with a UHD Dimming technology that will guarantee stunning colours and incredible details in every scene by precisely scanning an impressive amount of zones across the entire image and adjust the brightness in order to deliver deeper darks and brighter whites. It also comes with a unique 4 stage upscaling technology that will make any older video look as if it was shot in 4k. The remote control might seem counter-intuitive at first. 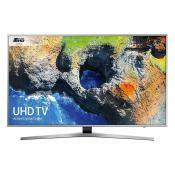 Samsung UE40MU6120KXXU will be a perfect fit for those customers that want to experience all of the benefits of the Ultra High Definition resolution and High Dynamic Range but do not wish to pay over 500 pounds for the kind of luxury that is a Smart TV. The model utilises the X-Reality PRO, a technology that delivers a much cleaner and more refined look, so you get to enjoy exceptional clarity, outstanding sharpness, and remarkable picture quality for everything you watch and a powerful computer model in order to analyse and compensate for inaccuracies in speaker response. 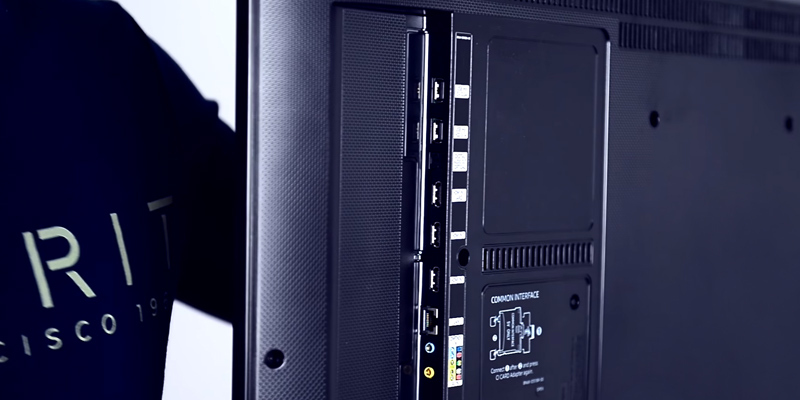 Two HDMI ports could prove to be insufficient for people with multiple multimedia devices. 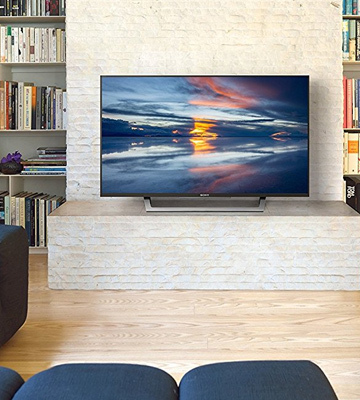 If you're looking for a model that truly deserves the title of a Smart TV and the one that delivers not just a spectacular image but also an exceptional audio quality to back up that image, Sony KDL-32WD751 should easily prove to be right up your alley. A Linux-based Smart software implements a fairly straightforward and user-friendly solution that will allow you to access the Internet. 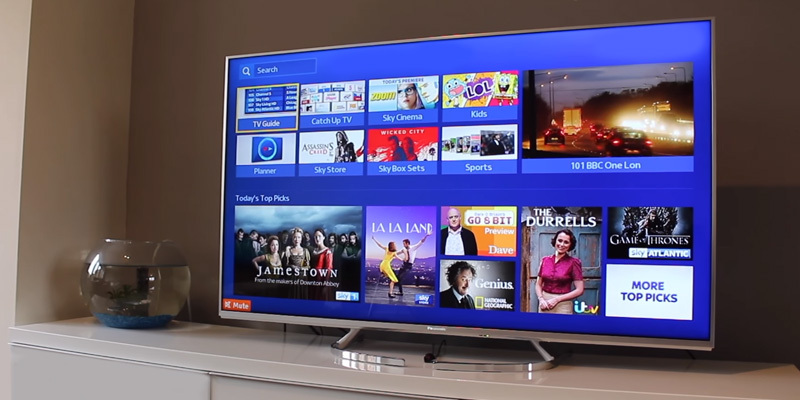 In addition to that, the model already comes with pre-installed applications like Youtube, Netflix, and Freeview Play, so you can catch up on your favourite TV shows with absolute ease and convenience. The Smart TV function is a bit limited. Digihome 24273SFVPT2HD is definitely not the best option out there in terms of specifications and the quality of the picture. But given that we're talking about a model that costs slightly over 100 quid, it should be able to satisfy anyone looking for an affordable solution that comes with Smart TV functions. 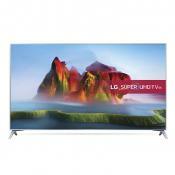 Though LG is a business enterprise that has produced a myriad of different displays for all sorts of market segments over the past few decades, the company's modus operandi and its target audience have always been those customers that can afford some of the best that the market has to offer. 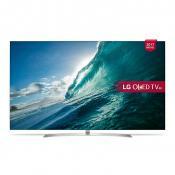 And, suffice it to say, the LG 55UJ630V Ultra HD Smart LED TV is by no means an exception to this rule. What we have here is definitely not the cheapest option out there but it is most certainly the one that will not disappoint even the most demanding customers. Besides, while it would be fair to say that most people tend to go for the most technologically impressive model when it comes to the majority of consumer electronics, it isn't always the case with television sets. Of course, it's not like people don't care about all of the specifications, but the size of the display always goes first, both literally and figuratively. 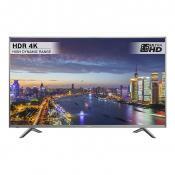 And even though this 55-inch 4k TV is no slouch when it comes to virtually all of the potential specs, it is the length of the diagonal that makes this model stand out from the rest of the Smart Ultra HD models in this price range. Naturally, as we have ever so subtly alluded to earlier, the product also supports the Ultra HD 4k resolution, since a display of that size requires a certain attention to details that can only be achieved through four times the number of pixels of your regular Full HD one. 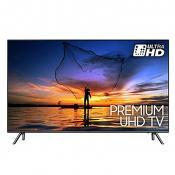 Now, if you're going to invest in a 55-inch Ultra HD television set, it would be fair to expect a certain level of quality when it comes to the colours as well, otherwise, you will have to experience an incredibly detailed picture that looks bland and lifeless. As you might imagine, people at LG weren't going to let that happen, which is why they equipped the LG 55UJ630V with a layer of features to ensure a truly spectacular colour reproduction. First off, the model incorporates the last iteration of the High-Dynamic-Range imaging technology that utilises Hybrid Log-Gamma. And if that sounds a bit too techy for you, putting it in simpler terms, the model is capable of reproducing a greater dynamic range of luminosity, meaning that the lighting, the shadows, and the display contrast will be able to resemble the real-life imagery to a much closer extent. And as for the latest iteration of High Dynamic Range that is usually referred to as HDR10+, the technology's job is to set the boundaries of brightness at the start of the film and distribute the hundreds of millions of colours evenly across the entire brightness spectrum for the duration of the broadcast. Admittedly, there's still a lot we haven't talked about when it comes to arguably the best 55-inch TV, but we're running out of space, so it's time for a lightning round. 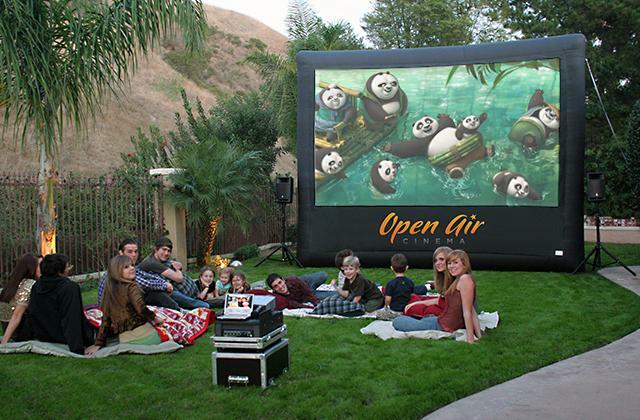 The quality of sound is not where the model had finally decided to drop the ball either, introducing an immersive sound technology that creates seven virtual channels which produce the multi-channel ULTRA Surround effect, allowing you to enjoy an outstanding audio experience that will make you think you're really there in the middle of the movie. The 4k upscaling feature is there and it could easily rival some of the best versions of it present on the market. Though we haven't talked about the "smart" part of this Smart TV yet, it isn't even remotely because that aspect is lacking. 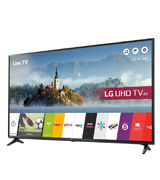 The LG Smart TV with webOS implements their award-winning Freeview Play feature and that will give you access to the BBC iPlayer, ITV Hub, All 4, DEMAND 5, Netflix, Now TV, Amazon Prime, and so much more. To summarise, we don't really know if there is such a thing as objectively the best Smart TV on the market. 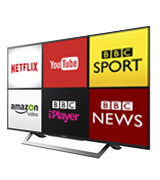 But if any product comes close to it, it would have to be the Smart TV with Freeview Play in question. The kind of colour reproduction it offers in addition to the size of the display will surely convince you to spend a few extra pounds on one of the most exciting TV prospects out there. 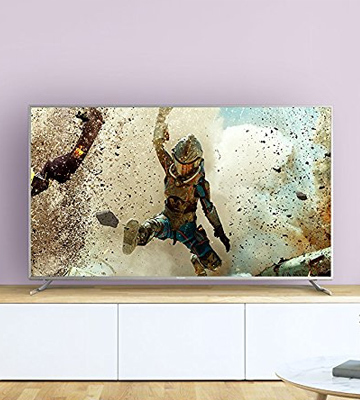 Without mincing the words too much, the Panasonic TX-50EX700B is simply a powerhouse of a Smart TV that will be able to appeal to the broadest possible target audience. And if that sounds like a bit of a bold claim to you, let us introduce you to a few of the model's elements that could change your mind on the subject. To get the ball rolling, we would like to first direct your attention towards the fact that this is an Ultra HD 4k Smart TV that features 50 inches in size. 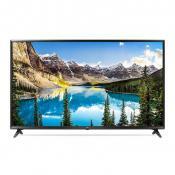 And, sure, there are plenty of those on the market, but very few of the options you'll be able to find include the renowned Panasonic quality, come with the same number of outstanding features and technologies, or simply belong to the same price range as the TV in question. Speaking of some of those technologies, the motion rate will be as good of a place to start as any, especially given that the model offers 1600 Hz of Backlight Motion Rate. In all fairness, that's not to be confused with the main motion rate that stands at an orthodox 60 Hz. Nevertheless, the aforementioned technology implements high-quality frame creation and advanced backlight scanning in order to ensure that those fast action scenes that we all love are always clear. 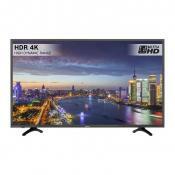 Now, before we get to the colours and other important elements that make this Smart TV what it is, we would be remiss not to mention that the model at hand incorporates an IPS panel, and that means higher contrast ratio with superior blacks, additional viewing angle options, higher colour accuracy, and an overall better colour reproduction compared to any other panel out there. The next logical step would be to take a closer look at the kind of picture that the Panasonic TX-50EX700B is capable of offering given that the aspect in question is the cornerstone of any television set and Smart TVs are no exception to this rule. On top of that, the kind of image the model is capable of offering and the sort of colours it can reproduce is where this product shines the most. Of course, plenty has already been said on the subject of Ultra HD resolution and the sort of details four times the pixels of your average full HD resolution can provide. But, in addition to that, the model also offers an exceptionally wide colour spectrum with the help of a special Wide Colour Phosphor technology that generates a broader colour range and gives you a more subtle, natural toned colour palette that looks much more authentic in a large variety of scenes compared to the majority of LCD displays on the market. And if you reckon that's the only thing the model offers in terms of colour reproduction, you might want to think twice, since the TV from Panasonic also provides an advanced colour processing system that delivers better colours and produces deeper blacks to make those dark scenes even more enigmatic. Naturally, we're talking about a Smart TV, and that means you'll be able to enjoy browsing through your favourite Youtube channels or indulging in the next big thing from Netflix. By the way, if the video on demand has a 4K option, the latter will already appear in the Ultra HD resolution, so you won't have to waste your time switching it yourself. Moving on, before wrapping this review up, we would like to mention that the model features a switch design with an adjustable stand, so you'll be able to change the look of your TV as often as you decorate or make space for the AV accessories under your new telly. In conclusion, the Panasonic TX-50EX700B has quite a lot going for it: the colours are exceptional, the viewing angles it provides will make the whole experience so much more comfortable, not to mention that the design of the whole thing makes the model look sleek and spectacular, all while offering some additional options in terms of placement. 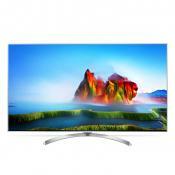 Samsung is a conglomerate that, for the lack of a better word, dominates the TV market. The fact that they are accountable for almost a quarter of all acquisitions of television sets in the world is impressive on its own, without even mentioning that the company sells more than a half of all 4K TVs in the world. The secret to their success in this department is quite simple - a Korean multinational conglomerate offers a variety of options for every single customer that is looking for a flat-screen TV, including a multitude of preferences it may have and keeping in mind the price that any potential buyer is willing to pay for something that is still more of a luxury than a necessity. 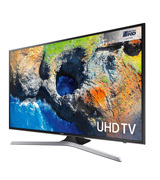 With the Samsung UE40MU6120KXXU, for instance, the idea was fairly simple and sort of evident - to create an Ultra HD Smart TV for a market segment that generally does not entail either the 4K resolution or the Smart functions due to the limitations in terms of funds. Fortunately enough, this is Samsung we're talking about, and they are one of the few companies that can afford to sell a product like that at a price range that is generally reserved for smaller displays with a Full HD resolution. 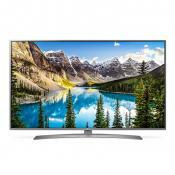 And even though a 4K screen is fairly impressive on its own, offering a depth of detail that is simply unfathomable compared to those with a 1080 resolution, just that alone wouldn't be enough to sell even a product as cost-effective as this one, which is why this Samsung 40-inch Smart TV was provided with a few additional tricks up its sleeve. Speaking of tricks, one of the most important and prominent ones is the use of the UHD Dimming technology that guarantees stunning and simply outstanding colours and incredible details in every scene. Without boring you with the tech terms, what the said technology does is precisely scans an impressive amount of zones across the entire image and adjusts the brightness in order to deliver deeper darks and brighter whites. This sort of approach, in turn, eliminates the so-called halo effect and image distortion, meaning you'll be able to enjoy a crystal clear image. Add to that the use of High Dynamic Range that is so prevalent in the majority of Ultra HD displays these days and what you're left with is impressive brightness, realistic colour reproduction, and the kind of attention to details that will make every scene burst from the screen. By the way, before we conclude the technical part of this review, we would like to bring up the fact that this particular Samsung 40-inch Smart TV also comes equipped with a unique 4-stage upscaling technology that will make any older video look as if it was shot in 4K. Of course, technical specifications are all well and good, but any piece of information technology equipment requires some means of control, and that's one of the model's strongest points. First, there's the One Remote Control that will allow you to manage all of your compatible devices and the entirety of your content. All it takes is no more than three clicks to discover the most appealing sources of entertainment on the powerful Smart Hub, boost the audio, or surf the boundless world of the Internet on a big screen. Heck, you can even talk to your remote since the latter incorporates a fairly reliable voice recognition software. 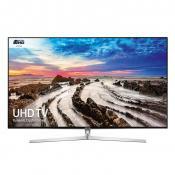 All things considered, the Samsung UE40MU6120KXXU will be a perfect fit for those customers that want to experience all of the benefits of the Ultra High Definition resolution and High Dynamic Range but do not wish to pay over 500 pounds for the kind of luxury that is a Smart TV. As most people are probably aware at this point, the term "smart" is something we put in front of a variety of different devices that attempt to close the gap between them and a fully functional computer. While a smartphone is probably the most popular example of that, Smart TVs are certainly catching up, with more and more people acquiring television sets that could often rival some of the older computers in terms of functionality and specifications. With that said, we would like to present the Sony KDL-32WD751 (also known as the Sony BRAVIA KDL32WD751), a telly that puts the "smart" into the Smart TV. To start with, the model already comes equipped with a whole array of applications like Youtube or Netflix that will allow you to instantly log into your account without wasting your time browsing the web. 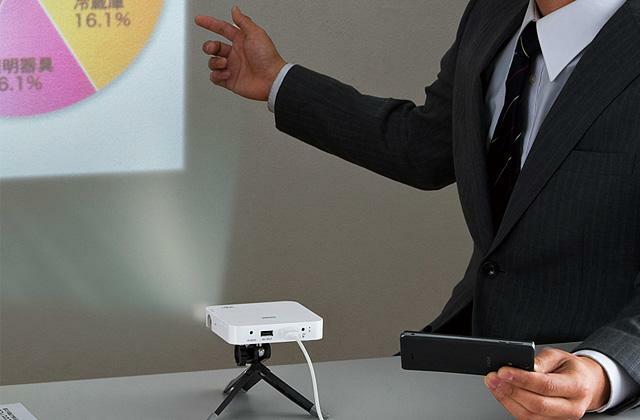 Furthermore, the team of experts behind the product also made sure to implement the Photo Sharing Plus, a feature that allows up to ten individuals in the room to send images and short videos wirelessly from their smartphone straight to the TV. Finally, there's the screen mirroring technology that that will provide you with the opportunity to enjoy the contents of your smartphone on a big screen, even including all of the applications. Now, a Smart TV is still a television set, meaning that it wouldn't be worth much without a quality picture to back up some of those Smart technologies. 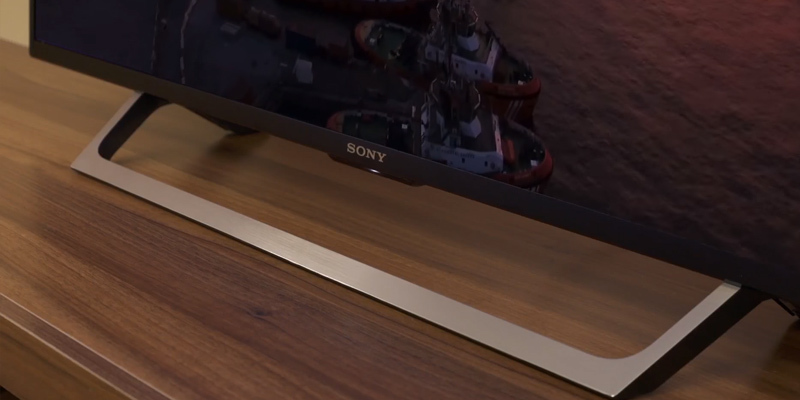 Though the aspect of image quality was never really a question with Sony and this Sony BRAVIA TV certainly does not intend to be an unfortunate exception to an otherwise clean record. There are a few things that the device has going for it in terms of picture but the most notable one has to go to the X-Reality PRO, a technology that delivers a much cleaner and more refined look, so you get to enjoy exceptional clarity, outstanding sharpness, and remarkable picture quality for everything you watch. Obviously, this is a TV we're talking about, so it isn't just about the static image but how well the device is able to reproduce motion. That is where the MotionFlow™ XR comes in. 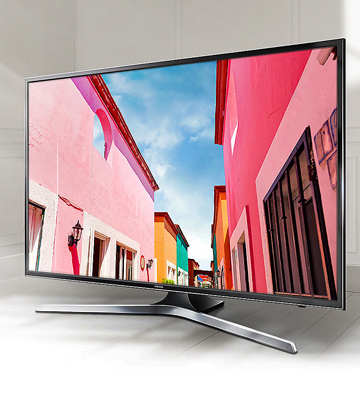 One of the biggest advantages of this impressive technology is that it is able to produce and insert additional frames between the original ones and that results in a video that appears to move the frames at a much faster and smoother rate compared to your average TV. It goes without saying that where is video there's almost always audio, and the audio aspect is also not the one where the model trails behind the competition. 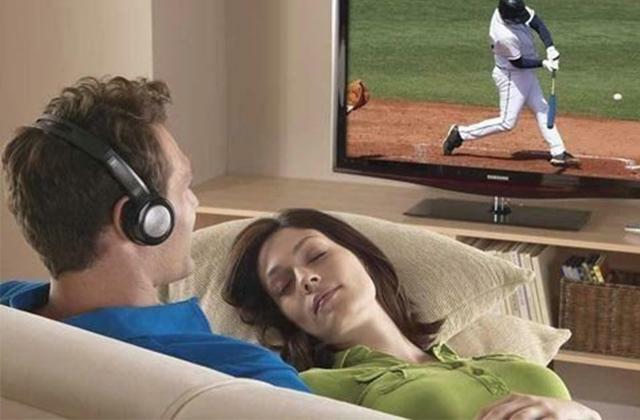 The particular TV from Sony utilises a powerful computer model in order to analyse and compensate for inaccuracies in speaker response and that, without going into some of the more technical details, results in a pure, natural audio with smooth, even reproduction of all frequencies. All in all, if you're looking for a model that truly deserves the title of a Smart TV and the one that delivers not just a spectacular image but also an exceptional audio quality to back up that image, the Sony KDL-32WD751 should easily prove to be right up your alley. A flat-screen television set is already the kind of device that most middle-class people wouldn't be able to describe as cheap and easy on the pocketbook. Add to that the so-called "smart" technologies and what you're often left with is a fairly pricey product that, despite being able to provide endless hours of entertainment, might easily prove to be somewhat excessive to those that aren't necessarily experiencing the best of times in terms of financial security. 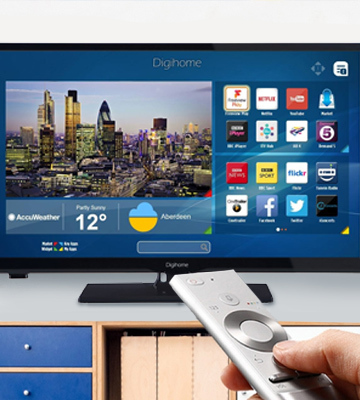 If you're one of these people or you simply do not wish to spend a few hundred pounds on a television set but would still like to experience all of the benefits of the Smart TV technologies, we can wholeheartedly recommend the Digihome 24273SFVPT2HD, a 24-inch Smart TV that, despite being one of the most affordable options out there, still offers enough to make it appealing for a fairly broad audience. 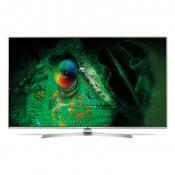 Since this is a Smart TV, we would first like to talk about the aspects that concern the latter. A Linux-based Smart software, for instance, implements a fairly straightforward and user-friendly solution that will allow you to access the Internet. In addition to that, the model already comes with pre-installed applications like Youtube, Netflix, and Freeview Play, which is an app that combines the live TV and on-demand services all in one place, so you can catch up on your favourite TV shows with absolute ease and convenience. 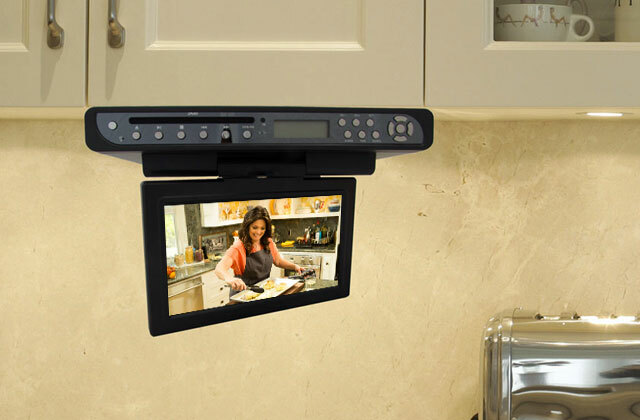 By the way, before moving on from the Smart features and applications, we would also like to add that this piece of entertainment equipment also comes equipped with an integrated Wi-Fi, meaning you won't have to waste your space and time with cables and could simply connect your television set to the Internet wirelessly. 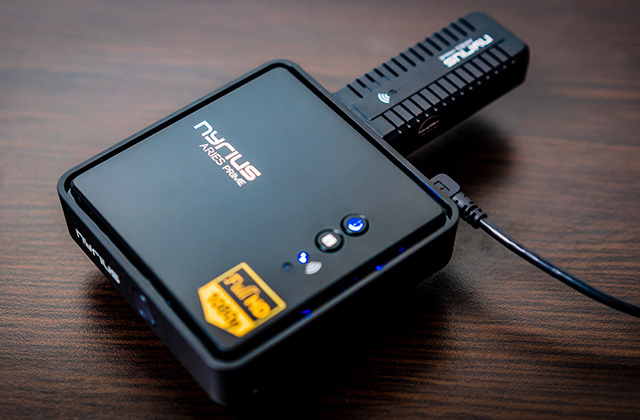 In terms of the picture, there really isn't that much to say except for the fact that the product is HD Ready, meaning that it is capable of accepting and displaying a high-definition signal at 720p. On top of that, the model offers the 100Hz UMR (Ultra Motion Rate) feature that will allow you to experience your favourite movies at a noticeably smoother rate. Of course, none of that sounds that impressive if you compare it to high-end Smart TVs, but keep in mind that this is a model that costs just a smidge above 100 pounds, a price that is four times lower compared to even some of the more affordable premium models out there. Finally, this is a Vertical Alignment panel that we're talking about, and that means better colour reproduction, higher maximum brightness, and better viewing angles compared to IPS panels. To sum the whole thing up, the Digihome 24273SFVPT2HD is definitely not the best option out there in terms of specifications and the quality of the picture. But given that we're talking about a model that costs slightly over 100 pounds, it should be able to satisfy anyone looking for an affordable solution that comes with Smart TV functions. Nowadays, there's a huge variety of TV sets on the market, yet smart TVs are on top of all others because of incredible image quality and stunning entertainment capabilities. 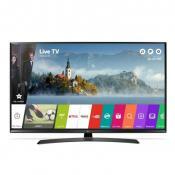 In fact, any TV that allows you to connect to the Internet and stream online videos is considered to belong to the Smart TV category. But that's not all! 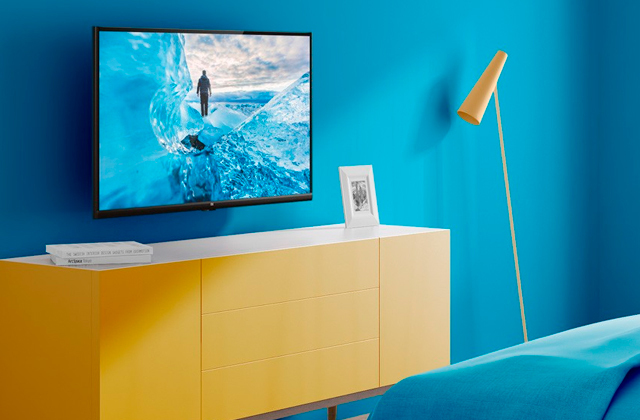 Some TVs not only boast impressive connectivity but also allow you to feel involved in what's happening on the screen thanks to the 3D support. There are scores of Smart TV reviews on the web, but we've decided to choose the best Smart TVs so that you can pick the one you truly need. 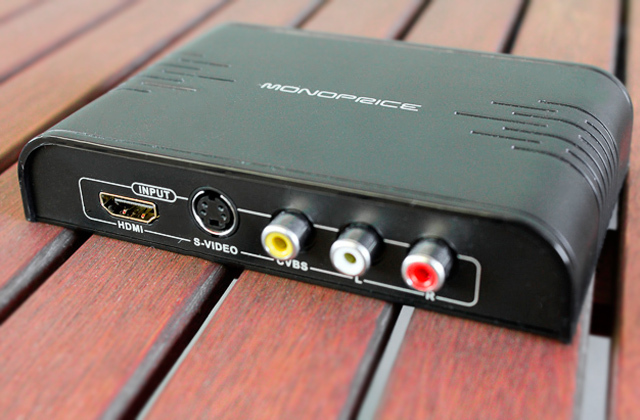 A Smart TV makes it easy to access video streaming services like Netflix, Hulu Plus, HBO or YouTube. Of course, a Smart TV allows you to watch movies online too. 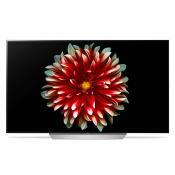 And if your Smart TV has 3D support, you can enjoy your favourite movies and feel all the depth of video playback. However, if you want a bit simpler TV without the Smart function, make sure to check our shortlist of the best big screen LED TV sets. 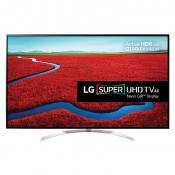 When you are choosing a modern Smart TV you should check the Image Quality each model is able to provide. Of course, you need to be sure of what screen size you want - this is, actually, a diagonal of the screen. The screen size must be picked carefully, don't forget to check if it fits your room. Next, pay close attention to screen resolution, because the higher it is the more detailed the picture will be. 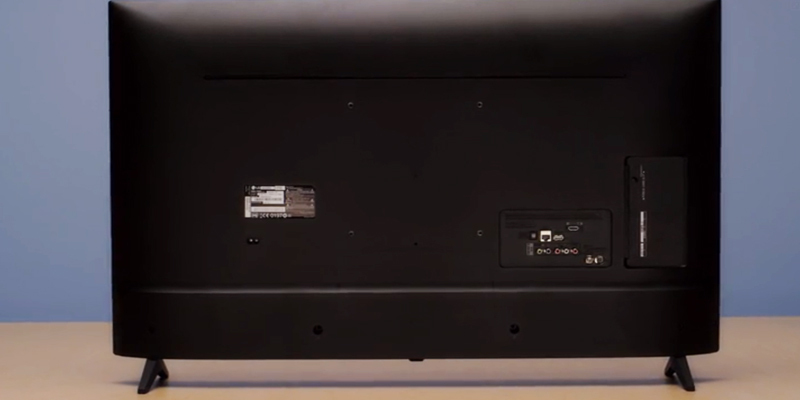 Another important issue is the type of panel used in every Smart TV - different manufacturers use various panels. A panel is responsible for colour reproduction, brightness, colour depth, and so on. 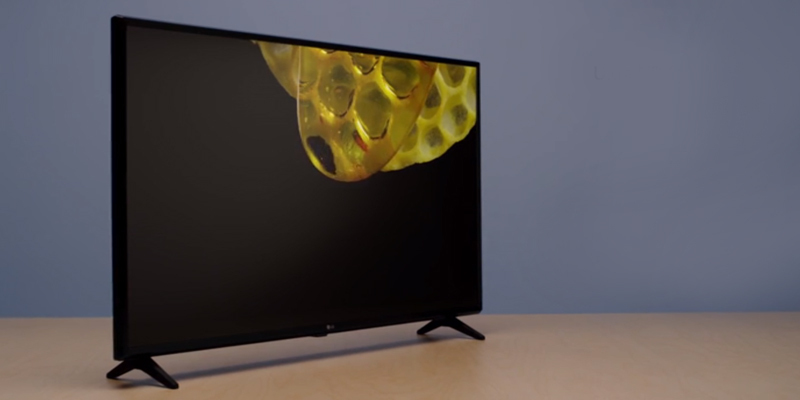 Most companies producing 3D Smart TVs use cutting-edge IPS panels (they provide wide viewing angles), S-PVA panels (these produce a high-quality, deep black colour), whereas Sharp, for example, uses its own UVA panels (which stand somewhat in between IPS and S-PVA panels in terms of image quality). 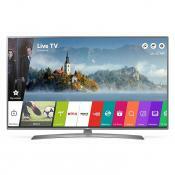 The next step to make when picking the best Smart TV is to consider all its Smart Capabilities. In other words, you should fully realize what a Smart TV is up to, what kind of software it uses, how easy the controls are, etc. The very Smart TV name means you can go online, use streaming services like Netflix or Hulu, watch videos on YouTube online, and enjoy different widgets. Thus, a Smart TV allows you not only to watch cable or satellite television but makes it possible for you to watch a Full HD or 4K movie online or even log on to your accounts on social networks. Moreover, some Smart TVs have a voice control support, so you can just pronounce names of movies, and the device will find them automatically. 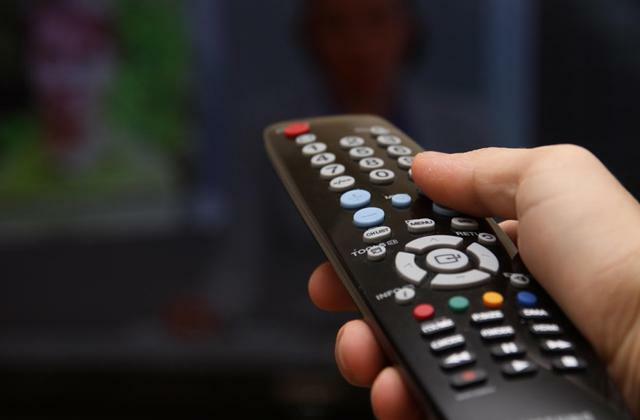 No need to say, all Smart TVs come with handy remotes, the best of which control function like a computer mouse - you move them, and the pointer on the screen follows each movement of your hand. 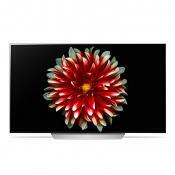 If you choose a Smart TV that also supports 3D mode, make sure to check what type of 3D technology is used. It can be either active or passive. Active 3D TVs quickly alternate pictures displayed on the screen, while glasses control which of your eyes sees every picture. Passive 3D technology is way simpler: half pixels of a panel are used to display the picture for your left eye and another half - for your right eye. This way, you perceive the picture with both eyes at a time. In the end, there's another important issue you need to pay attention to and we've called it Interfaces and Sound. 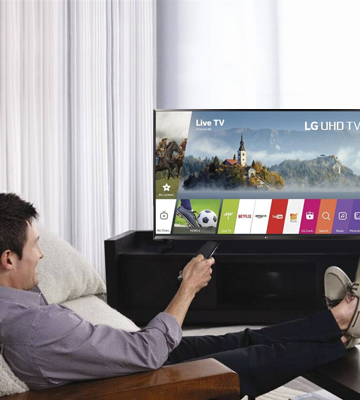 Modern Smart TVs have a variety of ports for incoming and outbound signals (both audio and video). 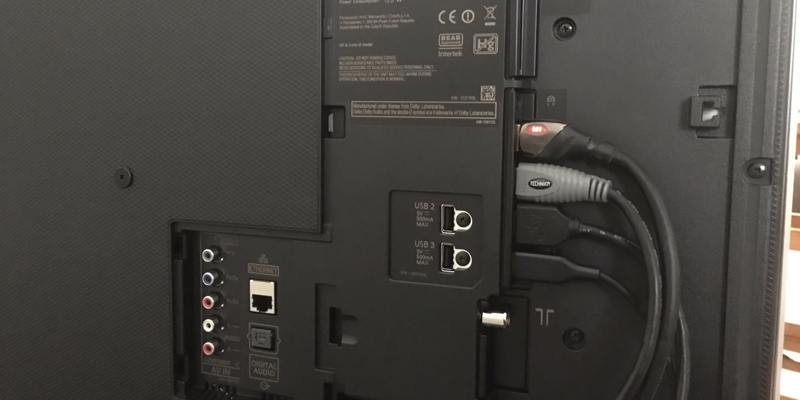 Any good TV must have several USB ports through which you can connect flash drives or external HDDs for watching movies, listening to music, or watching photos. 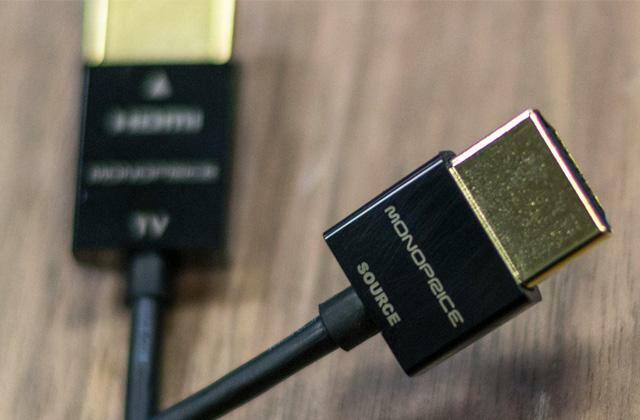 There's one more 'must-have': HDMI via which you can connect a Smart TV to a computer or laptop and use it as a monitor. No need to say, all Smart TVs have WiFi support - that's how they connect to the Internet. But some users prefer cable connection for the sake of better transfer speed. 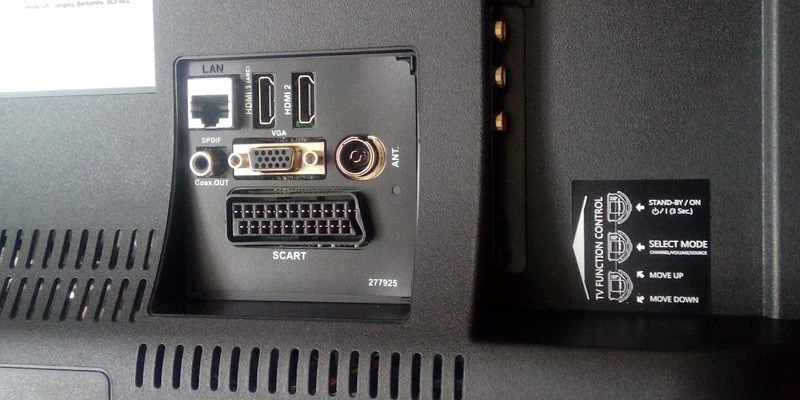 Also, the best Smart TVs have so-called component, composite, and optical inputs for connecting multi-channel sound systems and external video recording devices. And, of course, any good Smart TV must ensure a good sound quality. 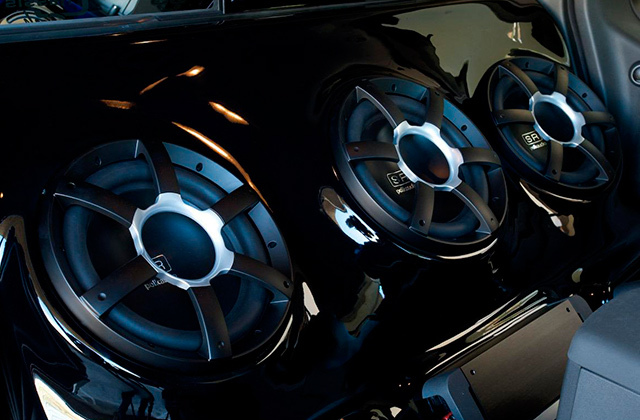 Manufacturers usually use a couple of speakers of different power output (the higher the better), though some producers even install woofers to add some bass to the sound. Even though what is considered to be a Smart TV is a relatively new technology that has hit the mass market fairly recently, a good percentage of people living in modern households happen to already be in possession of one of these devices and the majority, at the very least, reckon that they have a pretty good grasp on what these pieces of consumer electronics can and cannot do. Nevertheless, we bet there are at least a few things that you didn't know your Smart TV can do and we would be remiss not to share a few of these fun facts with you. As some of you are probably aware, the majority of Smart TVs nowadays come with a built-in browser, meaning you have the option of browsing the Internet using nothing but your television set. 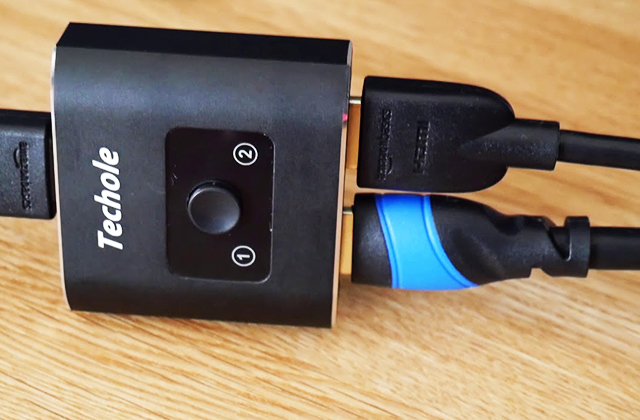 Of course, doing so may prove to be painfully slow and uncomfortable if you plan on using a remote control to execute this task, which is also why most of these devices come equipped with a few HDMI inputs that will allow you to hook up your laptop to your television set. Anyway, regardless of your methods, you can use your Smart TV to check all of your social media accounts and that can be so much more comfortable and exciting given the number of photos and videos that would look so much better on a big screen. Naturally, not dissimilar to a smartphone, you won't have to use the browser to do so since most of these social media networks include convenient and user-friendly applications for Smart TVs as well. Heck, you can even use programs like Skype to video chat with your friends and loved ones, that's if you feel like enjoying their faces on a huge screen. Now, this may seem somewhat obvious given the latter entry, but we would still like to mention that a Smart TV will allow you to enjoy the news not just in a boring old format that the news channel networks have in plans for you but also through the comforts of the Smart technology. 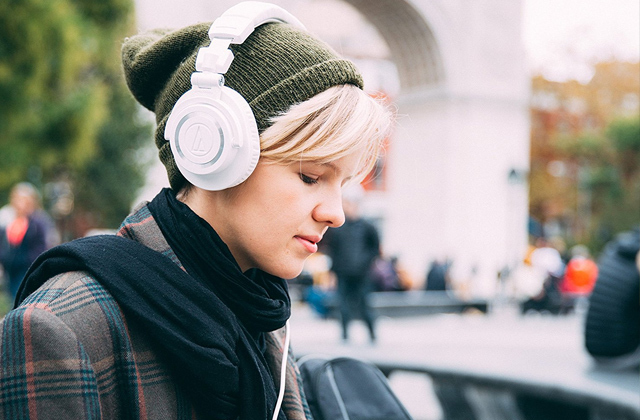 With it, you'll be able to access the news whenever you want and in whatever form you want. Just download the application from a news site like CNN or USA Today and read up on everything that is currently happening in the world however and whenever you feel like it. Furthermore, sports apps like the one from ESPN will let you check the results and all of the scores of the latest sports events that you believe to be interesting or relevant. Most people associate a television set with arguably the least physical activity there is that more or less consists entirely of hours of sitting in front of the screen on a couch, enjoying fatty snacks and not moving an inch of your body. And while we can't say that these times are long gone by now, let's just say that a Smart TV may offer you an alternative. With a device like that, you will have the option of accessing a number of different fitness apps and other training programs that you can use to stay in shape without going to the gym or buying any workout DVD. The applications in question cover pretty much everything that is even remotely related to fitness, from basic aerobics to routines that focus on specific muscles or types of workouts. On top of that, plenty of these apps offer different programs for beginners and experts and a good chunk of them does not require any equipment to use. 1. David Katzmaier TV Buying Guide 2015, CNET. January 28, 2015. 2. David Katzmaier CNET's Guide to 3D TV: What You (Still) Need to Know, CNET. July 18, 2013. 3. Getting the Right TV, Consumer Reports. November 2015. 4. TV Buying Guide, BEST BUY. 5. Alexa Scott Which is Best? 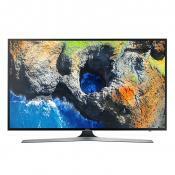 Smart TV or 3d TV? Quora. 6. JOHN R. QUAIN Buying a TV? Here Are 11 Things You Should Know, tom's guide. August 27, 2015. 7. 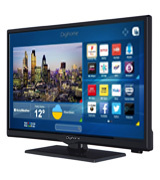 Oliver Amnuayphol TV Buying Guide: How to Buy a TV, Digital Trends. May 27, 2013. 8. 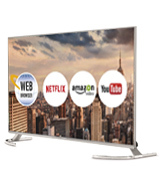 Evan Kypreos Best TV 2016: Best 32, 40, 55 and 65-inch+ TVs, Trusted Reviews. December 04, 2015. 9. TV Buying Guide, PC World. 10. 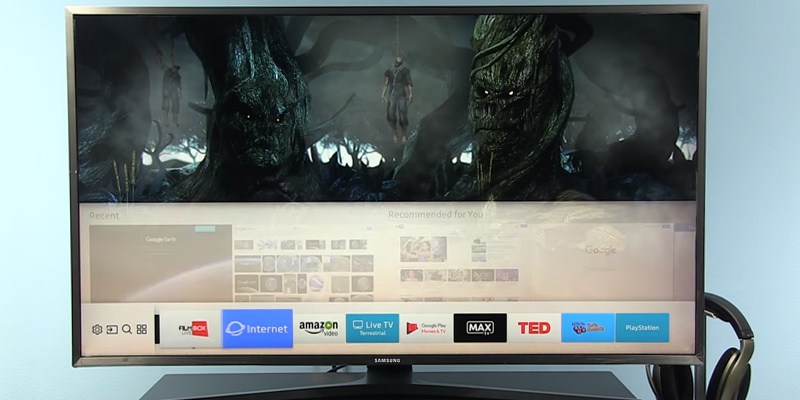 Smart-Review | HDTV & 4K TV Buying Guide (2015-2016), Smart Review. April 20, 2016.